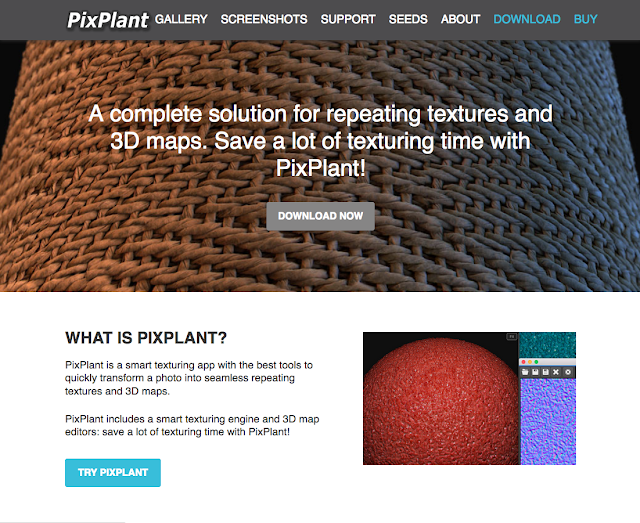 In the last few articles, I been discussing the various types of maps for use with your 3D models or, about a couple of purchased products to assist you with making these maps. For those of you, who may be beginners or hobbyists with limited resources, you may want to explore and experiment with the following online resource I found while researching another article. I don't really know anything about it other than it was free and easy to use. 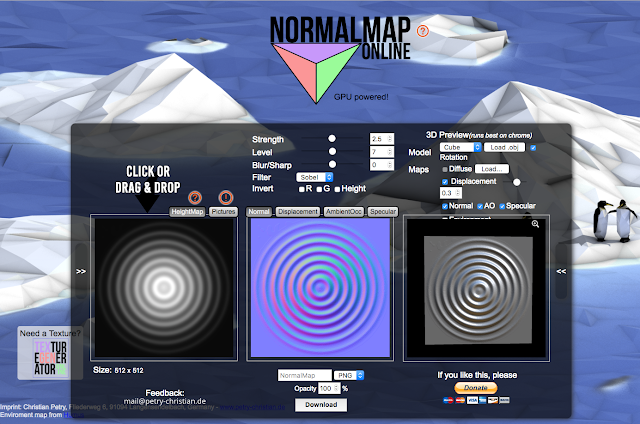 The NormalMap Online map generator does more than create Normal Maps; it also creates Displacement, Ambient Occlusion, and Specular maps. Simply drop and drag to textures into the far left panel and it will generate maps from your textures. There are a few settings you can alter for each map to enhance the maps for your needs then you can download them for use. What more could you ask for from a free product? WHAT THE HECK ARE ALL THESE MAPS IN BLENDER AND 3D MODELING? Many of you probably already have experience with at least some of the various types of maps in Blender or, Second Life but, for the beginner, all these maps can be very confusing. 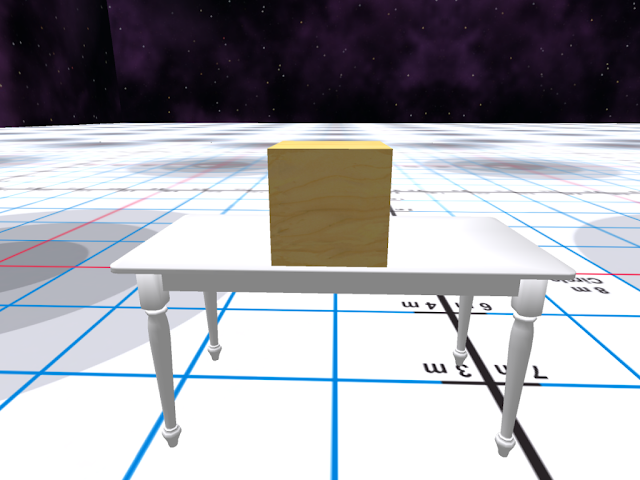 I want to spend a few minutes and share my simple explanations of the various maps you may hear tossws about in Second Life or, as it relates to 3D modeling. Most of my experience has been with texture images but, I have been learning about various maps and their uses in Blender Cycles. For our purposes, I thought I would share a few of these maps with you. If you would like precise, in-depth, technical information about the various maps, try searching the Internet and looking at some of the great explanations out there in various places or, Wikipedia has some really great articles which might be of interest to you and have posted a few links at the end of the article in the Resources section. Our creative lives can be hell sometimes, especially when you are just starting out. You simply don't know what you don't know, which makes things terribly difficult and frustrating! I want to share a couple of software products with you in hopes they may make your creative life easier. Another reason is I wish someone that shown me these products long ago to help my creative life be easier! 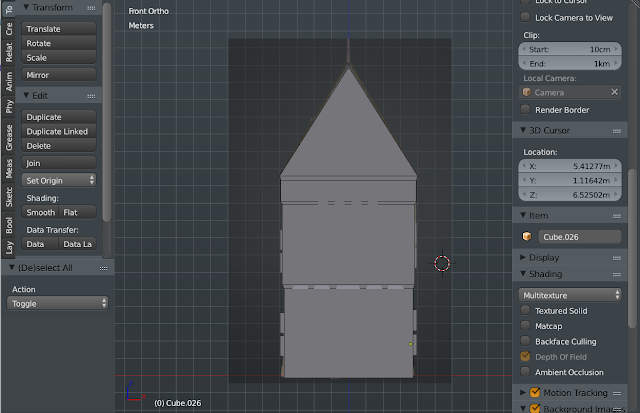 While I believe you can make create specific maps, such as normal, displacement, and specular maps, I do know you can create AO maps for your creations in Blender; however, the knowledge is beyond me at this point in my Blender learning journey. Yet, I do know using these varying maps are something that will enhance my creations; thus, I don't want my lack of knowledge to keep me from creating good builds. Often, those teaching beginning courses leave out little things we might never think of to help those of us new to Blender or, maybe they just don't know how to remedy this either! So, I am going to give you a quick tip/trick I learned while taking the Creating 3D Environment in Blender Course by Rob Tuytel over at Udemy.com. We have a special guest tutorial I want to share with you today! One of the advantages of taking the "Learn 3D Modelling - The Complete Blender Creator Course" over at Udemy.com is the fact lesson renders, questions, advice etc. can be posted in the Blender Community at GameDev.TV. There you will find many new and interesting folks also taking the Blender Course. One of the more active students I have met is named McFuzz, who is always helpful to others. Recently, McFuzz posted a short tutorial on Hand Painting in Blender, which he wrote as a mini-tutorial for a 3D modeling class he teaches at his work. Graciously, McFuzz has allowed me to share his tutorial with you. Hand Painting-Using the Brush Tools to Draw Our Own Textures By McFuzzUsing a Microsoft-paint-like interface, Blender has its own in-built texture editing software inside the UV editor. Today we are going to experiment doing this with the basic cube. 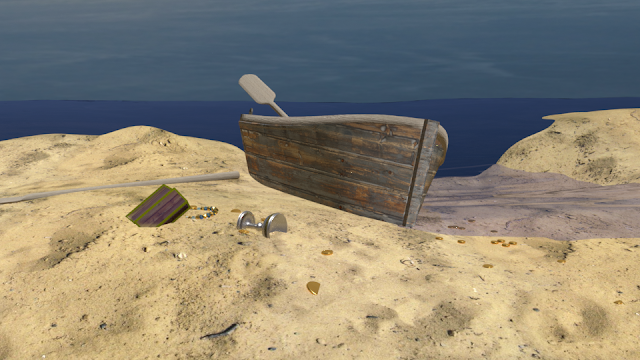 This week's Weekly Challenge for the Blender Course I am taking over at Udemy.com was Pirate Ships or Galleons. I can't say I was thrilled with this challenge like what do I know about pirate ships or galleons and, why do I even care? Something very glaring about the 3D modeling community seems to be it is a male centered world. Most topics seem to center on space ships, weaponry, flashy cars, and other guy sorts of things. No offense guys but, it would be nice to do a few things we ladies would be interested in modeling! Maybe some landscaping items such as plants, trees, fountains? How about various types of buildings? I personally think a bit of furniture or household items are in order!